Brian C. Neuwirth promoted to company president, effective January 1. 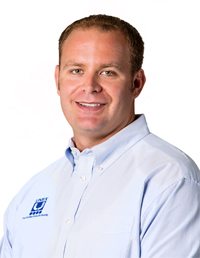 Brian C. Neuwirth was named president of storage solutions provider UNEX Manufacturing, Inc., effective January 1, the company said today. A third-generation owner of the Lakewood, N.J.-based company, Neuwirth replaces his uncle, Brian Neuwirth, who will become chairman of the board. "It is time to transition the company to the next generation of leadership," Brian Neuwirth said in a statement announcing the promotion. "Brian will maintain our current culture that brings outstanding value to our customers and partners. I have confidence that Brian will continue to grow the company and keep up with current technology to ensure that UNEX can better compete in the digital marketplace." Brian C. Neuwirth has more than 15 years' experience in the material handling industry and most recently served as the company's vice president, sales and marketing, the company said. He was chosen as the 2018 Outstanding Young Professional by the Material Handling Institute (MHI) at the group's MODEX 2018 event in Atlanta. He graduated from Susquehanna University with a bachelor's degree in corporate communications and received a mini-MBA in digital marketing from Rutgers University, according to UNEX. Feedback: What did you think of this article? We'd like to hear from you. DC VELOCITY is committed to accuracy and clarity in the delivery of important and useful logistics and supply chain news and information. If you find anything in DC VELOCITY you feel is inaccurate or warrants further explanation, please ?Subject=Feedback - : UNEX Manufacturing makes leadership change">contact Chief Editor David Maloney. All comments are eligible for publication in the letters section of DC VELOCITY magazine. Please include you name and the name of the company or organization your work for.